← Is your plumber a hero? Everything these days has an expiration date, right? Milk has an expiration date. It usually can last refrigerated until the date printed on the container. You can always fall back on your nose to be the last judge of whether the milk is good or not. We all go to the doctor for an annual physical, or at least we should. We even take our car for the 3 month or 3,000 mile oil and filter change. Maintenance, the habit of keeping things up so that we don’t have a BIG BILL to pay by not keeping things in our lives maintained. Is there anything we need to do with our water heater? Yes, flush them out quarterly if not annually and have the temperature relief valve checked. Are you kidding me? I asked Bear. Is there anyone who really flushes their heater out every quarter or even every year? He said no, they don’t which is why heaters do not last as long. 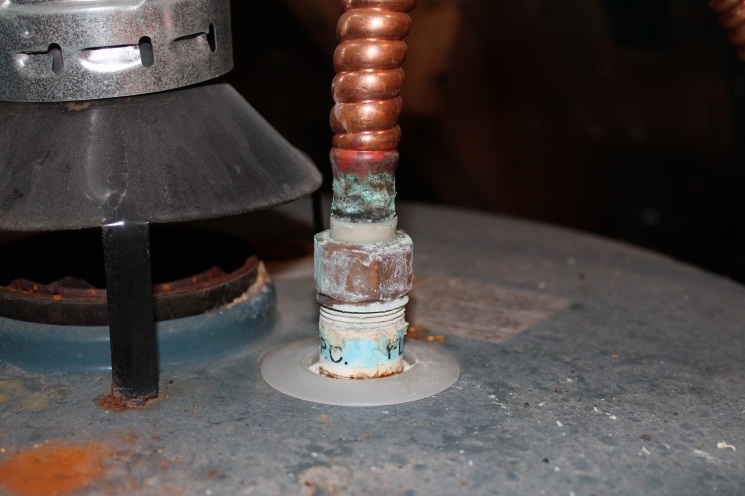 The temperature relief valve is a safety device which keeps your water heater from over-heating and exploding. If your water heater is older than eight years old you are getting close to the time of needing to replace it. Most plumbing companies will offer a free water heater inspection during a service call. If you are not having any issues but are just maintaining the upkeep of your home you can take a look at the manufactured date of the water heater. Did you even know your water heater had a manufactured date? I didn’t. I decided to venture into the attic to see for myself. There were several things I noticed and had to ask the expert. The first thing I questioned was the MFG date. Do all water heaters have a MFG date? “No” Bear said. Some manufactures put the date into their serial number. 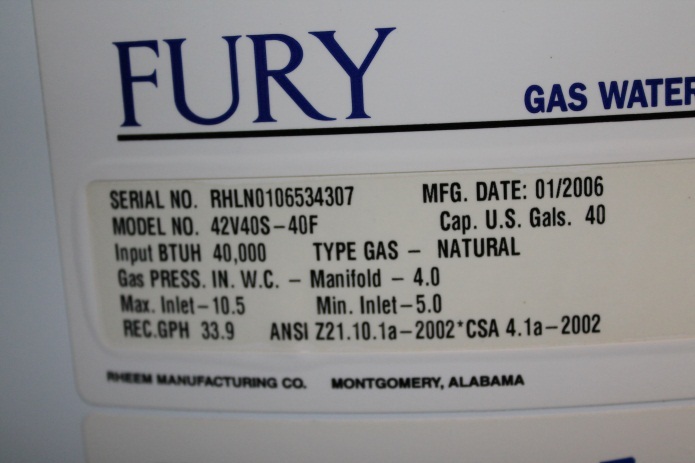 Our water heater has the MFG Date of 01/2006. This date is also in the Serial No. as well RHLN0106534307. If you are unsure of the age of your water heater and would like the assistance of an honest plumber please give us a call, we would be glad to take a look for you. Another thing I noticed, we have two water heaters. Why? What does this mean? Should we do something about this? Should I clean the corrosion off of the heater??? ?……Bear……If you see this on your water heater then it may not be an active leak at the moment, but there was one at some time or another. This should be taken care of fairly easily by replacing the corroded parts. He also told me I should not clean anything on the heater, ever. I hope you have found this post helpful. If so please leave a comment in the comment section of this article. Thanks for visiting. If you have a question that you would like me to ask Bear please send them my way. 6 Responses to Do water heaters have an expiration date? 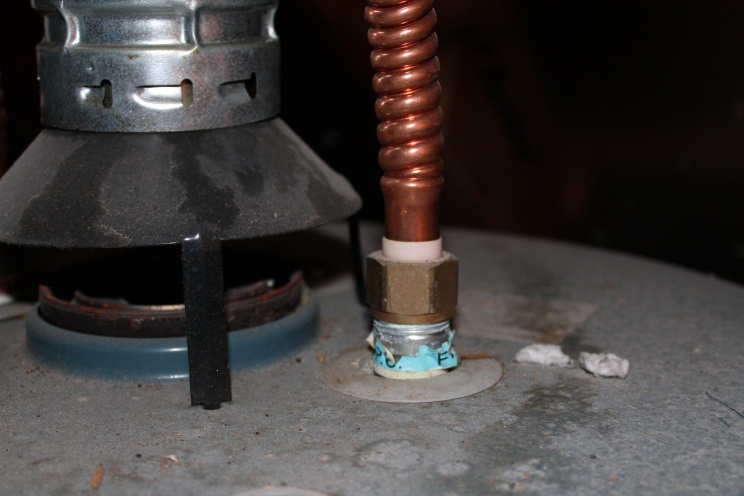 How do you flush out your water heater? Is this something you can do on your own? Or do you need a plumber to do it? Great question! You can take a water hose and hook it up to the drain valve located at the bottom of your water heater. It will look like an outside hose faucet. It may be plastic, if it is be very careful not to break it. You will have a real mess. Run the hose to a good location, ie: outside, or a bathtub. Then all you have to do is turn it on and let it run for a couple of minutes. Go ahead and turn it on and off a couple of times. You don’t have to turn off the gas or electric depending on what type of heater it is. The main idea is to flush out the sediment that settles in the bottom of the unit. I have heat water allmost 10 years can I heat water now or not yet please let me know thankyou!